Quality like no other. Beauty at its Finest. Quartz: This manmade stone is one of the hardest surfaces on earth, quartz makes an ideal material for kitchen countertops. When choosing quartz, you will take advantage of a material being less porous which means less maintenance! This composite is also equipped with a built in anti-microbial protection that inhibits the growth of bacteria, mold, and mildew. With its vast array of colors and characteristics, you can guarantee that your ideal countertop will be beautiful and provide a durability to match any lifestyle. Granite: Here is your natural beauty. Granite offers a near endless variety of different patterns of veins, specks, swirls, and colors. Taking advantage of this natural stone you will find yourself speechless with its scratch, stain, and heat resistant properties. Perfect for high use countertops, you will never have to settle for a bleak looking countertop to obtain a high quality product. Marble: Timeless with its classical beauty and elegance, marble will surely place an awe on faces of any passing traveler. Marble is perfect for a welcoming reception desk, exotic and captivating for feature walls, and made specifically to make your project stand out from all the others. Ask our sales department how we can turn your project into a one of a kind work of art. 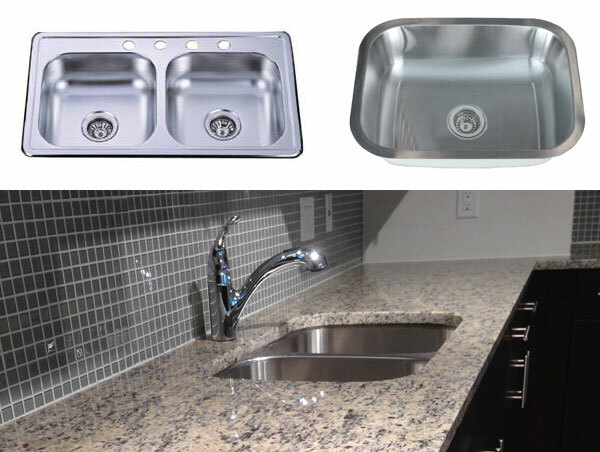 Countertopia has its own product line of sinks. Complying with any regulations you may need for your project, we can offer a large selection of style and sustainability that will complement your stone countertop. We have designed our own mounting system using or product knowledge and very skilled craftsman to produce the perfect marriage between sinks and countertops. Beyond countertops, we provide an assortment of granite and marble products and accessories. 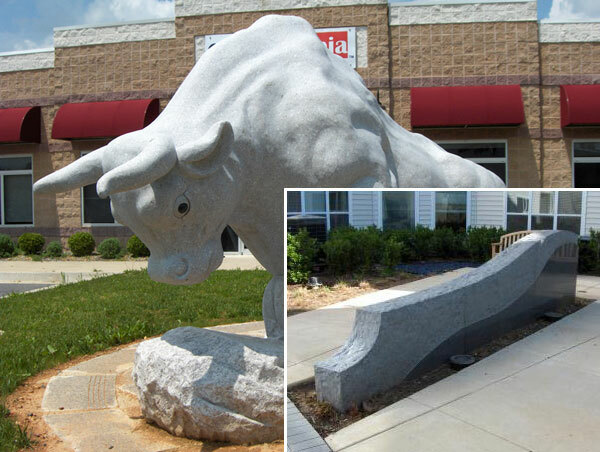 Oh yes, we can provide you with that huge granite statue that is totally necessary for your project! Our capabilities are endless including vanity tops, table tops, tiles and medallions, as well as fireplace surrounds. Trust us with your creativity. Our artisans will wow you with their mastery of stone and perfection.